Cash or checks may be placed in the offering plate during our worship services. You may give electronically using your credit card, debit card, or via an electronic funds transfer from your checking or savings account. To make a one-time gift or to setup a recurring gift, please click below on "CLICK TO GIVE ONLINE"
In order for your gift to be counted for the current tax year, it must be postmarked by December 31st. We appreciate your donations, but we also appreciate your time and talents. Every ministry needs volunteers. We promise to make the most of your God-given gifts and talents. 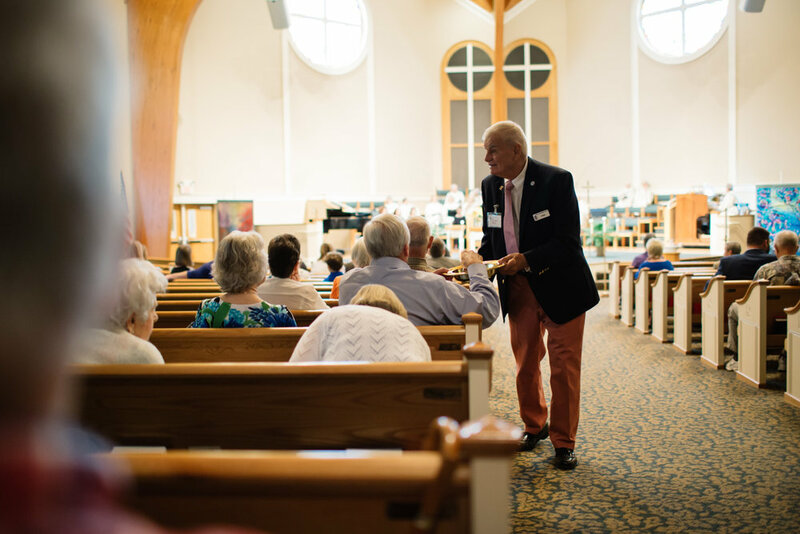 In order to give publicly traded securities to the church there are two steps; 1) you need to instruct your broker to transfer the stock to the Presbyterian Foundation and 2) you need to instruct the Presbyterian Foundation to give the proceeds to First Presbyterian of Peachtree City. If you wish to give mutual funds or bonds, please contact Robert Hay directly for different instructions.